NEW YORK CITY — Eva Moskowitz's controversial Success Academy charter school chain could expand with an extra six new schools throughout the city in the fall of 2014, including two potentially on the Lower East Side. The academy had identified seven possible locations for the six schools including three K-8 locations in Manhattan — two in the Lower East Side's District 1 and the third in the Upper West Side and Harlem's District 3, according to details Success Academy recently posted on its website. Two more charters could be headed to Districts 7 and 12 in The Bronx, and two could be on the way to District 30, which takes in Astoria and Long Island City in Queens. The District 30 schools would be Success Academy's first charters in Queens. Success Academy plans to begin each school with a kindergarten and first grade in the fall of 2014 and "add one grade each year until they serve kindergarten through eighth grade," according to the academy's announcement. Success Academy submitted a letter of intent to the State University of New York Charter Schools Institute for the new schools. The plan would have to go through a public hearing and approvals process. Lisa Donlan, president of District 1’s Community Education Council, said she is against the idea of more charter school’s for the area. 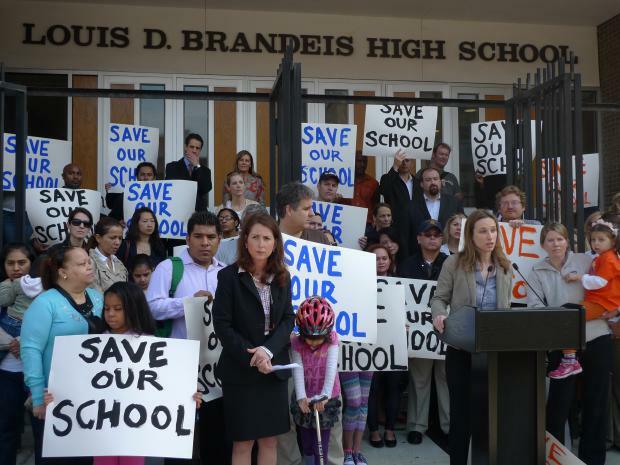 "There is no proof of need for additional elementary charters [in District 1]," she said. "People are not looking for additional choices." Donlan also expressed concern over where the proposed Success Academy charter schools might be housed. "There is no space to squeeze into District 1," she said. "To do so is going to cost the kids already in those buildings resources." A spokeswoman from Success Academy, Kerri Lyon, said that if school space is allocated to Success Academy it would be up to the DOE to determine if there is enough room. "We work very hard to build great relationships with schools in our buildings," she said. Lyon added that demand for charters like Success Academy is already present in the area. "There is clear demand for more high performing options in District 1 as evidenced by the more than 100 applications from District 1 families to Success Academies over the past year even though we don't have a school in that district," she said, adding the nearest Success Academy to District 1 is the Upper West Side. In Mayor Michael Bloomberg's final State of City address he outlined an ambitious plan to open 26 new charter schools in the city by this September and a promise to open "many more by 2014." Success Academy — which already runs 14 elementary and middle schools in the city and plans to open another six this fall — has come under fire in recent months for its aggressive expansion plans. Many are concerned that the charters have moved into space currently used by public schools, squeezing those schools into smaller facilities. New schools have already been approved for this fall for locations including in Hell’s Kitchen, Fort Greene and Crown Heights, according to Success Academy’s website. In December 2012, a fervent grassroots effort to keep a new Success Academy charter school from moving to Gramercy's Washington Irving campus packed a public hearing to protest the plan.